You want exceptional truck driver training. You want the best instructors in the industry, the most carefully assembled curriculum, and the most behind the wheel opportunities you can get. That's just what C1 Springfield has to offer. With over twenty years of experience training new truck drivers, we've become the very best in truck driver training. C1 Truck Driver Training in Springfield will provide you with the perfect facility to complete your truck driver training. Our goal is for you to become an excellent, safe new truck driver, so our C1 Springfield truck driver training campus includes a closed driving range to practice driving maneuvers such as backing and shifting. The well-organized range area provides plenty of opportunity to refine your skills under the watchful eye of a CDL instructor. Beyond the range, you'll get time behind the wheel of a tractor trailer and apply your new skills in real world truck driving experiences with a truck driver training instructor in the passenger seat. 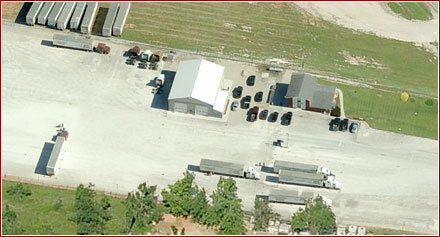 The fleet of training trucks at C1 Springfield consists of well-maintained, conventional tractor trailers. As a truck driver student, you'll get hands-on with the very same kind of equipment they'll use once they have their CDL and go to work. CDL training students at the Springfield C1 campus take advantage of the state-of-the-art trucking school’s training technology. The campus includes interactive multimedia-based classroom lecture to make learning easier and simpler. The on-site computer lab provides students with the latest self-guided study for the CDL permit test. C1 Truck Driver Training brings together technology and experienced driver trainers to offer the best in CDL training. Inside the administration building at our Springfield truck driver training school, you will find a CDL classroom equipped with multimedia presentations, hands-on activities, and an experienced truck driver training instructor to lead lectures. Truck driver students learn the essentials of truck driving, from map reading and trip planning, to accident prevention and the pre-trip inspection. The truck driver training facility also offers a student lounge and study area, as well as direct access to advisors to answer questions along the way. When you attend C1 Springfield, you'll get access to the most advanced truck driver training available in the industry. We pride ourselves on our custom truck driver training curriculum, and friendly team of knowledgeable staff and experienced CDL instructors. Our 9 full-time instructors have at least five years of truck driving experience, allowing them to connect with you and teach you the habits of a safe truck driver. Get a personalized truck driver training experience from the passionate, friendly staff at C1 Springfield, and get on your way to becoming a professional truck driver. Check out the campus tour video for Springfield to see the facility and training for yourself.